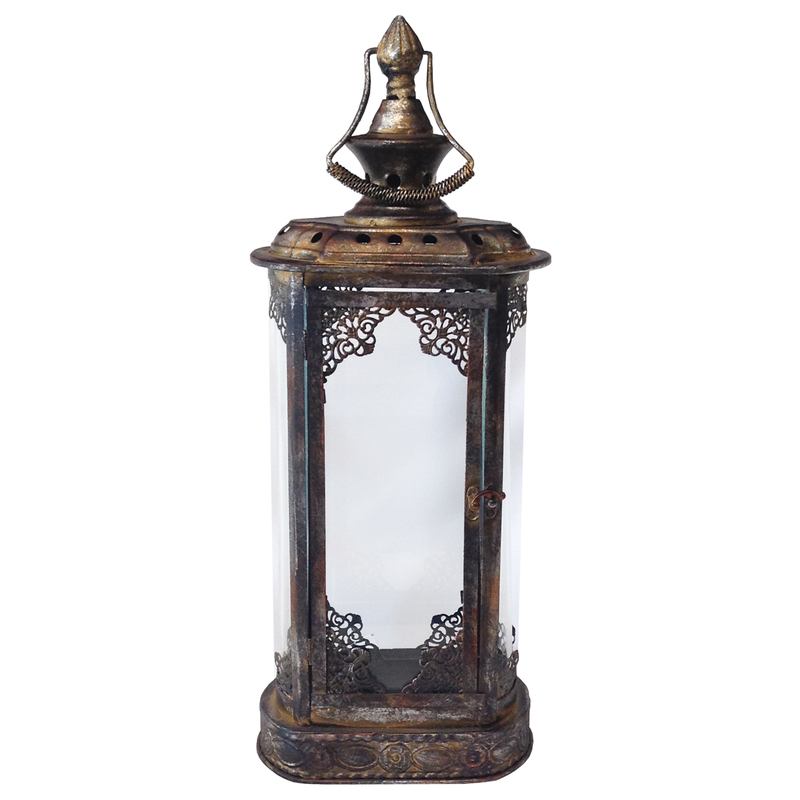 Bronze metal lantern with glass panes and hinged door with latch. Approximately 20" tall (plus 3" with the handle). Base is approximately 5" x 8" and the interior width is about 3.25" x 6"
Please Note: These items cannot be shipped - limited to local pick up or delivery.